On the opening night of Luke’s art exhibition at a local gallery, a stranger arrives with a lucrative proposition. 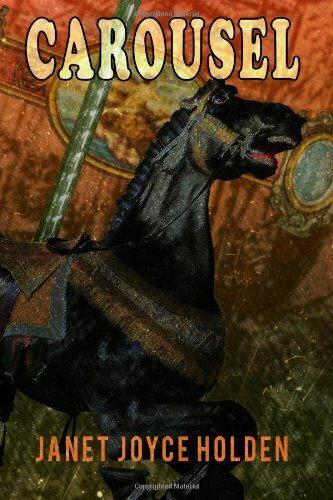 Flat broke, and on the verge of being thrown out of his apartment, Luke eagerly accepts the challenge and discovers, rather than paint on canvas, the task involves the restoration of an antique carousel horse. It is a precursor to a much bigger project and inspired by the money offered, Luke takes the commission, becomes enraptured by his subject, and in a matter of weeks he sinks deep into his art and becomes withdrawn and obsessed, much to the dismay of his girlfriend Emma, and his elder brother John. John in particular has cause for alarm, for the brothers share a dangerous heritage, one that Luke has been kept willfully ignorant of in a desperate attempt to protect his sanity. For Luke possesses a rare and much coveted gift, a latent talent that will open doors - to strange, ravenous forests, the soulless corridors of the dead, and perhaps even Hell. Suspicious of his wealthy patron and fully aware of Luke’s potential, John seeks to protect his younger brother from being exploited. But, as spring turns into summer, Luke’s supernatural abilities begin to awaken and he and Emma are drawn into deadly realms they never knew existed, and for John it becomes a desperate fight to protect the world from the growing threat of Luke’s art, and to stop his brother from descending into madness.